This unique item features hand painted wooden apples with a fabric leaf. It is mounted on a spring with a rustic wooden base. 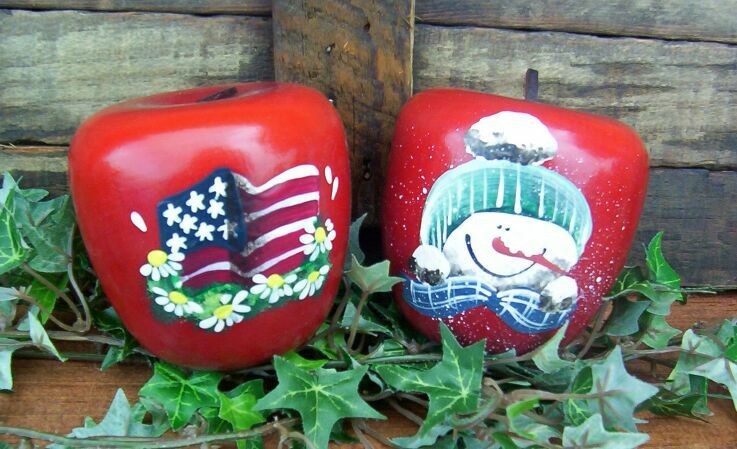 It can be personalized on the apple and the apples can hold a note or photo. It measures 6 x 3 x 3. 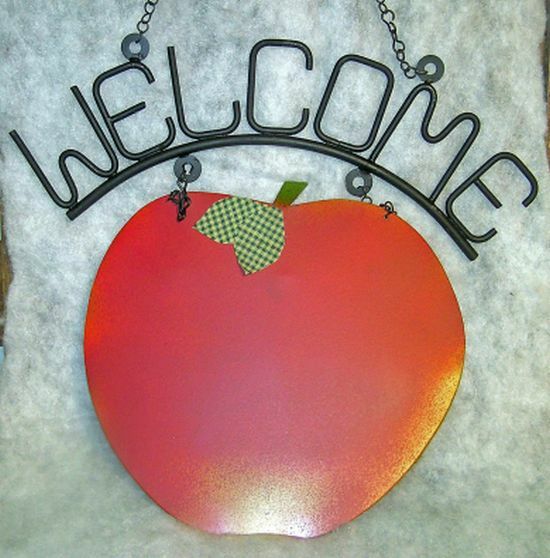 This metal apple sign says "WELCOME" at the top in black wrought iron. 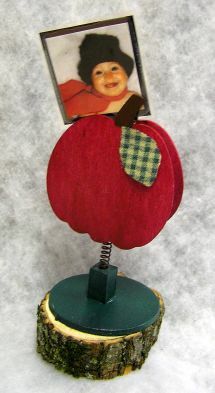 It also has a bright red apple hanging below with some green checked fabric leaves. It can be personalized on the apple and the apple and welcome sign are hanging with a black chain. It measures 18 x 18 x 1. 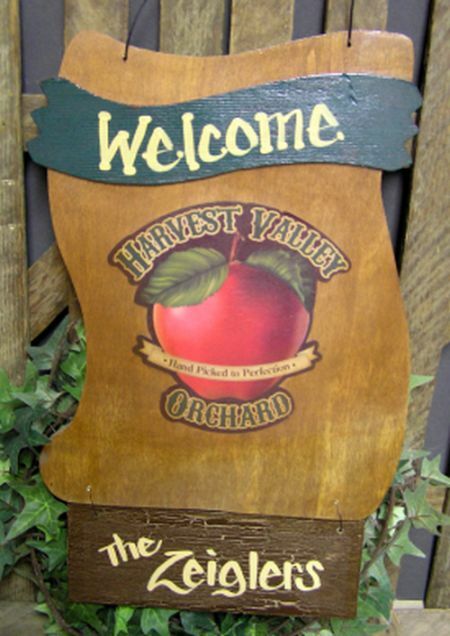 This unique wooden sign has an apple decal in the center. There is an antique crackle finish wooden sign at the top that says "Welcome" and one that is wire hinged at the bottom that can be personalized with whatever you would like. It measures 18 x 10 x 1/2. 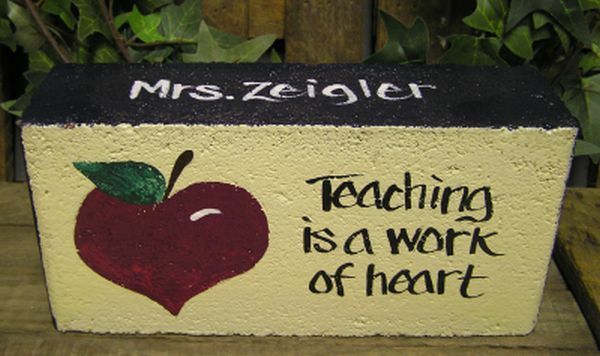 "Teaching is a work of heart" is hand painted on the front of this original design brick. 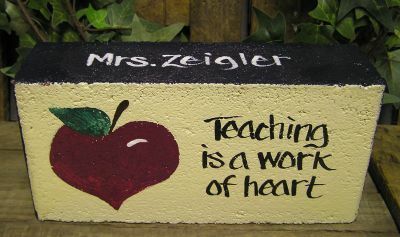 It also has a heart shaped apple with stem and leaf and can be personalized with whatever you would like. It measures 3 1/2 x 7 1/2/ x 2. This solid wooden apple has a beautiful finish and a leather stem. 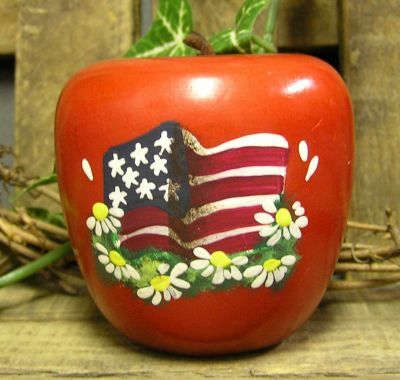 The hand painted orginal design features a waving flag with flowers. It measures 2 1/2 x 2 3/4. These ceramic apples and pear look like you could take a bite out of them. 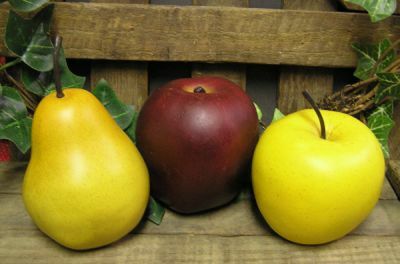 They are available in red and yellow delicious apples and the yellow pear. The apples measure 3 x 2 3/4. The pear measures 4 1/2 x 2 1/2. 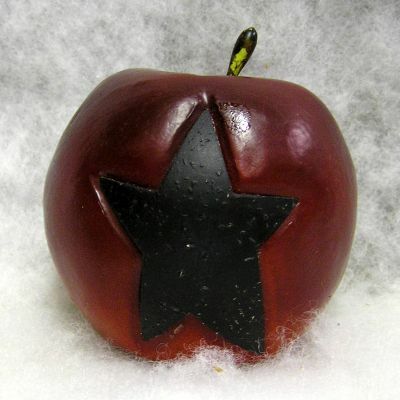 This red apple has a black rustic looking star embossed on the front. It measures 3 x 3 x 3.